Speedplay Zero Pave pedal starts shipping, but is the SYZR offroad pedal just a hoax? Speedplay announces that their Zero Pave pedal has begun shipping. Hooray! For 500 bucks (for ti spindle version) you too can own the road pedal for riding in conditions in which you might have to foot down into mud or dirt, but you don’t plan to walk or run off the bike. After all, with the Pave Zero, you’re still wearing a 3-bolt metal cleat with no traction on shoe with no tread. Simply put, this is a pedal system that makes it easier to get back on the bike and in the pedals, not to be easier to get around off the bike, Because that’s why this pedal exists…because Speedplay-sponsored pro teams demanded a system that debris and dirt couldn’t hinder ingress/egress. The professional riders, loathe to change something as personal as their shoe/pedal system, would clearly balk at using mtb shoes and pedals for just a couple races in the spring, like Paris-Roubaix and Strada Bianca. But for the majority of us non-Pro Tour riders and racers, we’d probably just use a 2-bolt cleat/pedal and a walkable shoe for a gravel grinder. 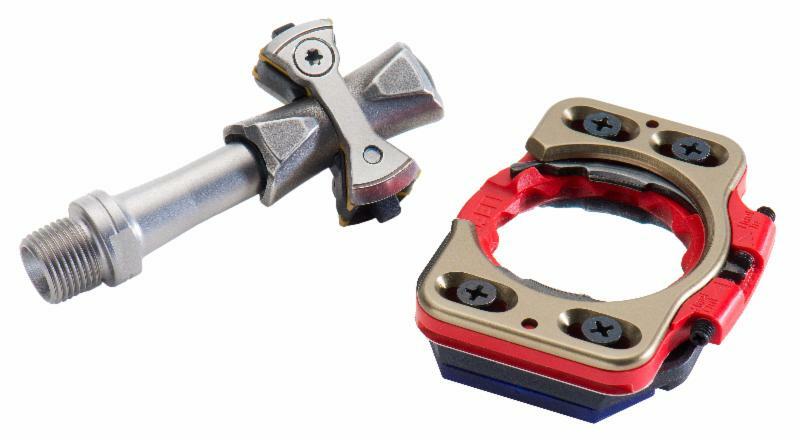 What I would be sooooooo much happier to see is a mtb pedal that feels and supports like a good road pedal….something like what the Speedplay SYZR promises to do. The problem is that Speedplay has been promising this pedal since at least 2008. 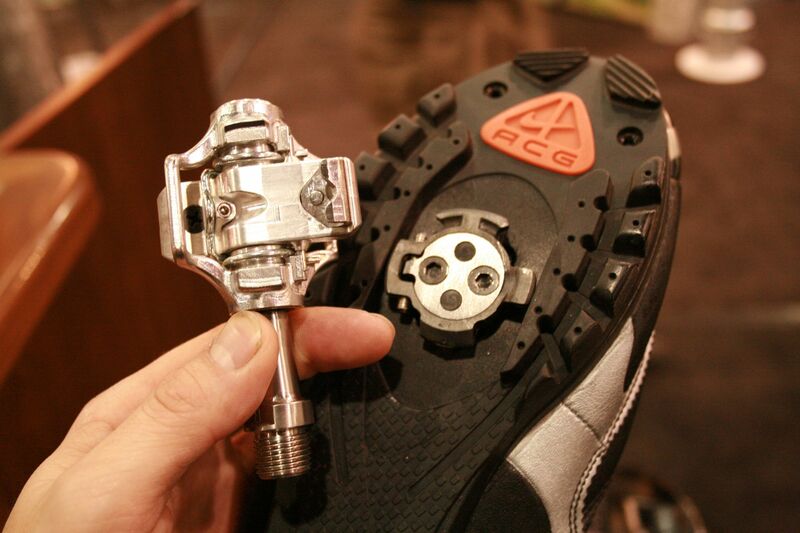 At Interbike that year, I snapped this photo of a prototype pedal. I was told that the pedals would ship after the first of the year. Then I was told the same thing the next two Interbikes. Frankly I’ve lost track of how many times those pedals “would be shipping in three months.” Most recently, Speedplay displayed yet another update to the design at this year’s Sea Otter Classic. Listen, I’m all for thoroughly developing a product before selling it to consumers, but this is just ridiculous. Still, I do hope the SYZR finally makes it to market, because if it performs anywhere close to the hype, it should be awesome.